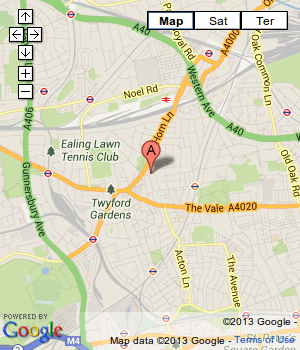 Professional oven cleaning services in Raynes Park, SW20 from Fast Home Cleaning London. We clean single and double ovens, cooker hobs, microwaves and BBQs. Take advantage of our cleaning services. We can offer you great availability, during the week and at the weekends. Having your oven thoroughly cleaned from the stains and grease is already possible. With a simple phone call you can book the services of our experienced and dedicated technicians who will deliver impeccable results. To learn more about our exclusive offers and reasonable rates, feel free to use the customer support centres that work during the whole week. 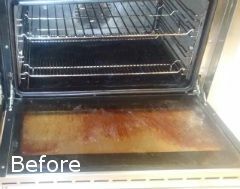 If you want to do something about the poor condition of your oven, our company is ready to come up with the greatest cleaning options for oven cleaning in Raynes Park, SW20, Holloway and Vauxhall. We would be glad to introduce you to our extensive list of services aimed to cover all possible oven cleaning problems. You will see we have something to offer for every type of oven. We have the skills, the knowledge and the tools to return the shiny state of your oven no matter of its seemingly dire condition. 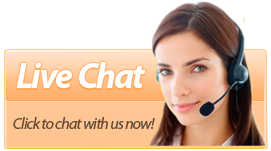 We cover all aspects of the cleaning, which is done on spot. We would inspect the condition of your oven, spot treat every type of dirt and grime and then finish the job with a polishing the whole surface area. To guarantee the complete cleaning of all the dirt, we will remove the glass and seals where possible – in this way we will ensure excellent cleaning of all the tiny stains and grease. Our technicians will perform general cleaning of every single part of the oven by using non-caustic and modern methods of cleaning. 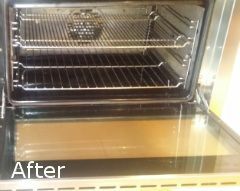 You can be sure that your oven will be protected from accidental damage by harsh chemicals because the solutions that we use are toxic free and of a first class quality. We would provide for several very effective and reliable cleaning products that work great against all sorts of dirt both inside and outside of your oven. You should rest assured your appliance is being cleaned by the most qualified and skilled cleaners in London. They have all the proper training that would guarantee service of the highest standards. With plenty of years of experience in the field, you can bet no one knows more about dirty ovens than our staff of technicians. There’s probably nothing they haven’t seen and dealt with by now. We ensure you they are vested in all the latest cleaning techniques and they know how to use them depending on the case on their hands. 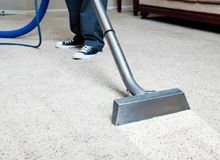 They are one of the most reputable specialists in this particular type of cleaning. 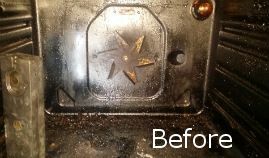 Oven cleaning is one of the tasks that you almost never think about or have time to do. But don’t despair. 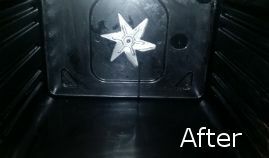 Your oven can be sparkling clean and in the best of health only if you make the right choice of a cleaning provider. We can assure you our company is the best contractor you can find. We have been occupied with oven cleaning for a long time. Trust the experienced oven cleaning provider with well-earned reputation for quality results. 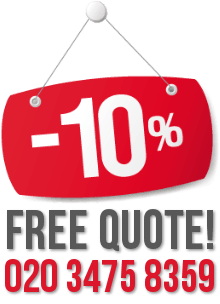 Our mission is to help Londoners with cleaning and to keep improving in order to be your top choice. We use several tired and tested techniques when cleaning ovens to yield the results our clients are hoping to get. We’ve already managed to win first place in the hearts of dozens of residents in the area, let us prove you our expertise. Our company has everything needed to meet your expectations and satisfy the needs of your oven. Give us a shot. You regret it.